Striking deep purple shade adds an exquisite charm to the beautifully crafted leather living room set. This luxurious modern purple leather living room set is not just exceptionally pretty but has loads of features. 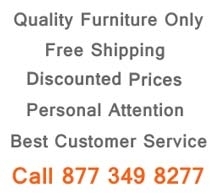 Sofa, loveseat and chair offer adjustable headrests that add more comfort and can slightly change the overall look depending on its positions. 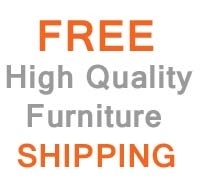 Upholstered in purple leather it has a strong wood frame inside for extra durability. Adorned with slightly angular steel legs and sides with a chrome finished lining, its unique bottom style makes it all the more desirable by the modern and vibrant furniture lovers. U7120 modern purple leather living room set offers pieces such as sofa, loveseat and chair that can be purchased together, separately or in any combination. 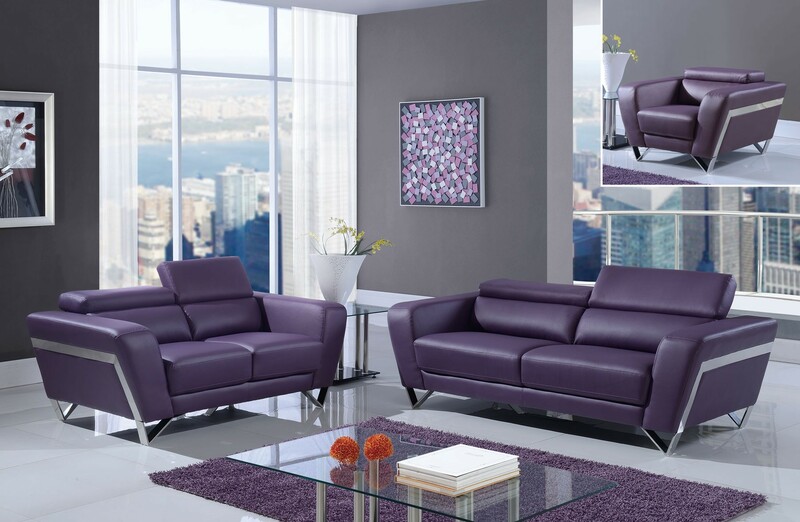 It offers plenty of seating space, creative modern style and durability so you can enjoy this purple leather living room set for years to come.